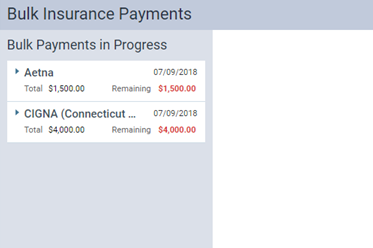 You can delete a bulk insurance payment as needed. 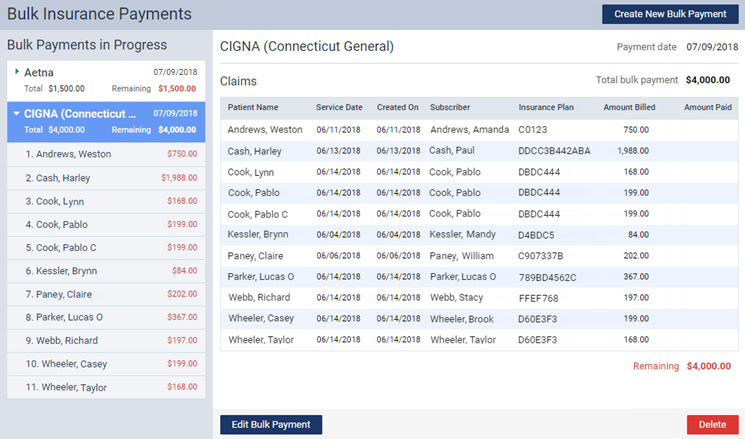 If a portion of the payment is already applied to claims, those insurance payments remain posted in the corresponding patients' ledgers. You can delete bulk insurance payments according to your security rights for the Ledger. The deletion of a bulk insurance payment appears in the audit log.